When will be The Goods next episode air date? Is The Goods renewed or cancelled? Where to countdown The Goods air dates? Is The Goods worth watching? This fall CBC has got The Goods. 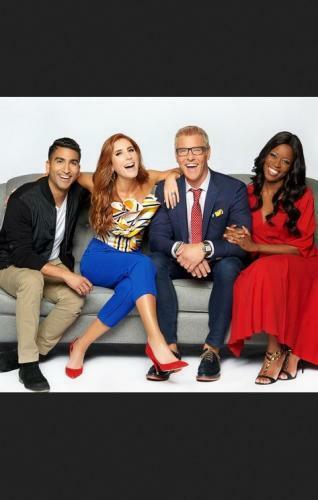 Each weekday in front of a live studio audience our talented group of expert co-hosts, Steven Sabados (Home), Jessi Cruickshank (Style), Shahir Massoud (Food) and Andrea Bain (Relationships) get together to share some laughs and their best advice on living a happier, healthier and more stylish life. It's an irresistibly fun way to spend the afternoon. In the Series finale, Steven gives a TV room decor lesson, and Shahir makes the ultimate TV dinner - Salisbury steak. Plus, the hosts reveal their binge TV-watching habits. The Goods next episode air date provides TVMaze for you. 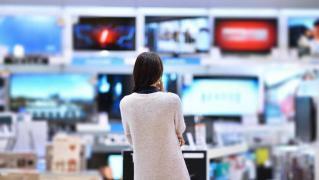 EpisoDate.com is your TV show guide to Countdown The Goods Episode Air Dates and to stay in touch with The Goods next episode Air Date and your others favorite TV Shows. Add the shows you like to a "Watchlist" and let the site take it from there.